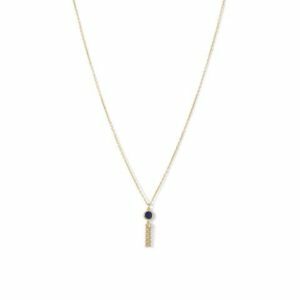 Sterling silver with 14kt gold plate cable chain with a 4.3mm bezel set Lapis and a 23mm drop five strand tassel made of cable chain, like the necklace. 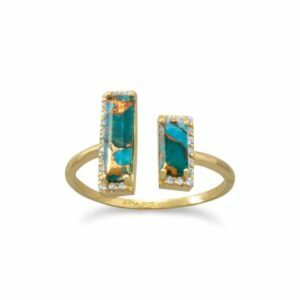 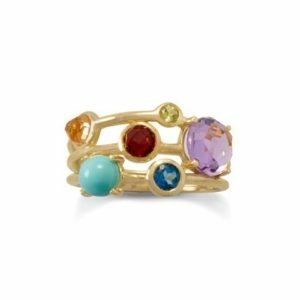 14Kt yellow gold plated sterling silver ring holding one each checkerboard cut, amethyst, peridot, garnet, One table cut citrine, and one cabochon turquoise. 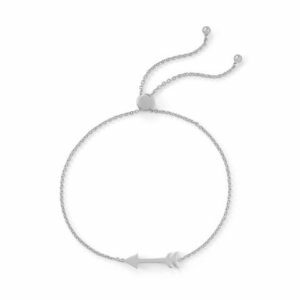 Rhodium-plated sterling silver bolo bracelet with a silver arrow design. 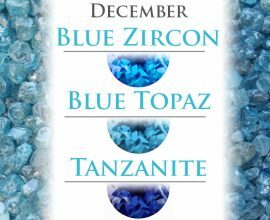 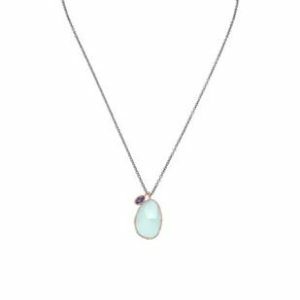 Chalcedony and iolite drop necklace in gunmetal-plated sterling silver. 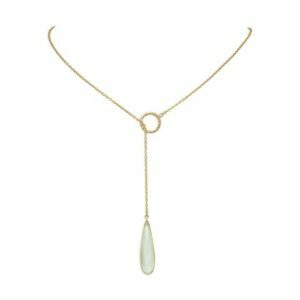 Gold-plated sterling silver lariat style necklace with a light aqua chalcedony drop. 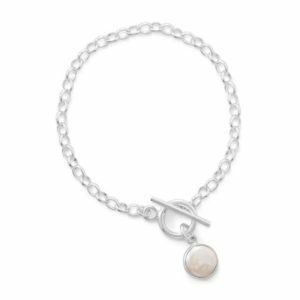 Sterling silver rolo link bracelet with coin pearl pendant. 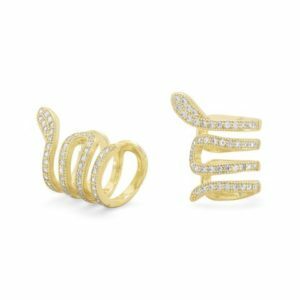 Gold plated sterling silver snake ear cuffs with cubic zirconia. 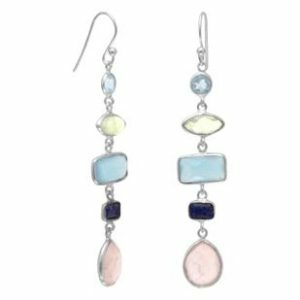 Drop earrings with five different semi-precious gemstones. 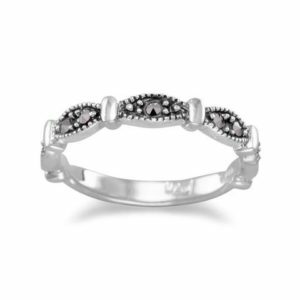 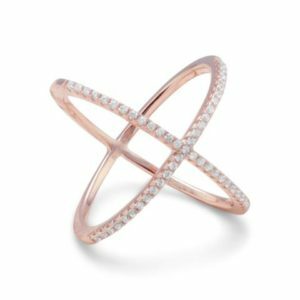 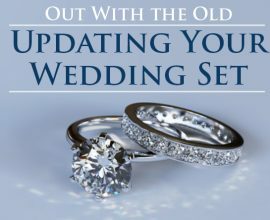 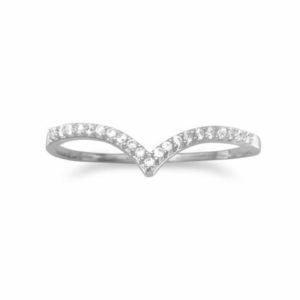 18Kt rose gold plated crisscross "X" style sterling silver ring, parading shimmering CZ set on top, all high polished.